The second iteration of the classic Hunchback arcade game conversion was Hunchback II: Quasimodo's Revenge. 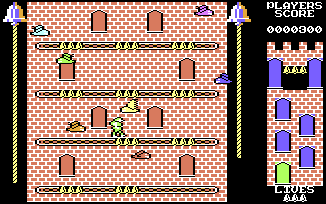 Released in 1984, a year after its predecessor it was also closer to a standard platformer game. Chunky sprites are the order of the day here, but get past that and you'll find tons of enjoyment here.